The Council promotes a philosophy of independent living. This includes consumer control, peer support, self-help, self-determination, equal access, and individual and systems advocacy to maximize the leadership, empowerment, independence, and productivity of people with disabilities. The Council promotes integration and full inclusion of people with disabilities into the mainstream of American society. What does the SILC do? The Statewide Independent Living Council (SILC) has an important responsibility to develop a state plan that outlines goals and objectives to improve the lives of people with disabilities in Michigan. It works cooperatively with the Michigan Department of Human Services (DHS), Michigan Rehabilitation Services (MRS) and the Department of Licensing and Regulatory Affairs (LARA) Michigan Bureau of Services for Blind Persons (BSBP) to develop and submit the State Plan for Independent Living (SPIL). The SPIL establishes a blueprint for present and future independent living programs and services in Michigan. How can I be involved in SILC activities? Input from people with disabilities is vital for the development of the SPIL. Public comment at SILC meetings and at public hearings helps shape the independent living service delivery system. 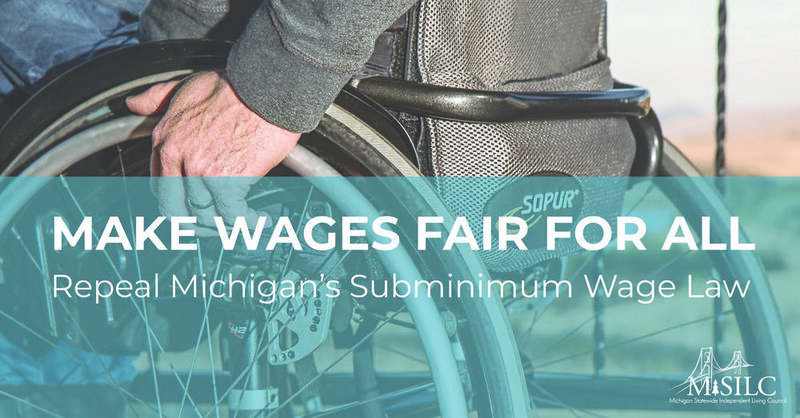 The SILC welcomes consumers' comments, criticisms, questions and concerns, and consistently works to improve independent living services in Michigan. The SILC Council meets four times a year at an accessible location; each of these meetings are open to the public. Experience: 19 years experience in Administrative services. Currently attending the Academy of Association Management. Enjoys: Sports, reading and spending time with my children. Skills and talents brought to the SILC: Meeting managements, event planning as well as day-to-day operations. Wants to be remembered for: Not dwelling on the negatives in life, but focusing on the positives. Skills and talents brought to the SILC: Database and System administration abilities with specific knowledge of the CFAL system. The ability to envision, plan and implement information technology solutions. Wants to be remembered for: As a someone who lived life without concern for their own legacy. Experience: 10 Years in the Transportation Demand Management field, following 3 Years in Legal Services. Achieved a B.A. Degree in History from Augustana College (IL) and a J.D. Degree from St. Louis University. Enjoys: Sports, gaming, reading, hiking, and camping. Skills and talents brought to the SILC: Policy and political analysis, with special emphasis on aligning vision and actionable outcomes. Wants to be remembered for: Having made a number of small improvements in the lives of individuals, even if not realized for a long period of time. Upon appointment to the SILC, new members are advised by staff (in their welcome letter and during orientation) if they need an accommodation to ensure full participation in the council and in fulfilling their roles and responsibilities, they must submit the request for accommodation within 30 days after the need is known. This could include: personal assistant services reimbursement, driver/transportation services, interpreter or cart services, reader services, etc. Upon recite of a request, SILC staff will contact the member to discuss their need(s) and determine the essential functions that require a reasonable accommodation, so barriers are alleviated. Agreement will be reached between the member and staff as to the accommodation implementation plan. In an effort to document the plan SILC staff will provide written conformation detailing the accommodations planned to the member within 10 business days. If a current SILC member requires an accommodation to ensure the continuation of their participation they should notify staff within 30 days of developing the accommodation(s) need. Staff will implement the request as previously described. Correspondence/documentation regarding accommodation requests and implementation are maintained by SILC in a secured cabinet with restricted access. Documentation is destroyed after one (1) appointment cycle after the individual’s departure from SILC. At each SILC Business Meeting, Public Comment takes place at the beginning and end of each meeting. Public Comment is the opportunity to express a viewpoint, make a request, or educate the Council. There is a (5) minute time limit set for individuals and organizations for making your comments. This is not an opportunity for dialogue or questions with the SILC Council. Any concerns that you raise will be responded to in writing within 7 – 10 days of the Business meeting. wants to add in a form where users can fill out to learn how to become a SILC council member. The information that gets submitted in this form would go to a google doc for Rodney to review and contact the person.